RKO has long been renowned for its cycle of musicals starring Fred Astaire and Ginger Rogers in the mid- to late 1930s. Actors Katharine Hepburn and, later, Robert Mitchum had their first major successes at the studio. Cary Grant was a mainstay for years. The work of producer Val Lewton's low-budget horror unit and RKO's many ventures into the field now known as film noir have been acclaimed, largely after the fact, by film critics and historians. The studio produced two of the most famous films in motion picture history: King Kong and Citizen Kane. RKO was also responsible for notable co-productions such as It's a Wonderful Life and Notorious, and it also distributed many celebrated films by animation producer Walt Disney (from 1937 to the mid-50s) and leading independent producer Samuel Goldwyn. After an aborted attempt by Kennedy to bring yet another studio that had turned to him for help, First National, into the Photophone fold, RCA was ready to step back in: the company acquired Kennedy's stock in both FBO and the KAO theater business. On October 23, 1928, RCA announced the creation of the Radio-Keith-Orpheum Corp. holding company, with Sarnoff as chairman of the board. Kennedy, who withdrew from his executive positions in the merged companies, kept Pathe separate from RKO and under his personal control. RCA owned the governing stock interest in RKO, 22 percent (in the early 1930s, its share would rise as high as 60 percent). 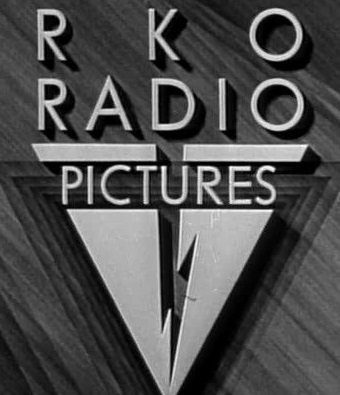 On January 25, 1929, the new company's production arm, presided over by former FBO vice-president Joseph I. Schnitzer, was unveiled as RKO Productions Inc. A week later, it filed for the trademark "Radio Pictures". Looking to get out of the film business the following year, Kennedy arranged in late 1930 for RKO to purchase Pathe from him. On January 29, 1931, Pathe, with its contract players, well-regarded newsreel operation, and Culver City studio and backlot, was merged into RKO as Kennedy sold off the last of his stock in the company he had been instrumental in creating. Selznick spent a mere fifteen months as RKO production chief, resigning over a dispute with new corporate president Merlin Aylesworth concerning creative control. One of his last acts at RKO was to approve a screen test for a thirty-three-year-old, balding Broadway song-and-dance man named Fred Astaire. In a memo, Selznick wrote, "I feel, in spite of his enormous ears and bad chin line, that his charm is ... tremendous". Selznick's tenure was widely considered masterful: In 1931, before he arrived, the studio had produced forty-two features for $16 million in total budgets. In 1932, under Selznick, forty-one features were made for $10.2 million, with clear improvement in quality and popularity. He backed several major successes, including A Bill of Divorcement (1932), with Cukor directing Hepburn's debut, and the monumental King Kong (1933)largely Merian Cooper's brainchild, brought to life by the astonishing special effects work of Willis O'Brien. Still, the shaky finances and excesses that marked the company's pre-Selznick days had not left RKO in shape to withstand the Depression; in early 1933, the studio sank into receivership, from which it did not emerge until 1940. 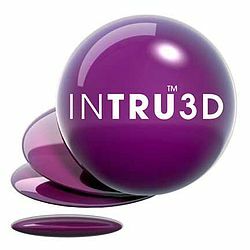 As a group, the studio's craft divisions were among the strongest in the industry. Costumer Walter Plunkett, who worked with the company from the close of the FBO era through the end of 1939, was known as the top period wardrobist in the business. Sidney Saunders, innovative head of the studio's paint department, was responsible for significant progress in rear projection quality. On June 13, 1935, RKO premiered the first feature film shot entirely in advanced three-strip Technicolor, Becky Sharp. The movie was coproduced with Pioneer Pictures, founded by Cooper—who departed RKO after two years helming production—and John Hay "Jock" Whitney, who brought in his cousin Cornelius Vanderbilt Whitney; Cooper had successfully encouraged the Whitneys to purchase a major share of the Technicolor business as well. Although judged by critics a failure as drama, Becky Sharp was widely lauded for its visual brilliance and technical expertise.RKO also employed some of the industry's leading artists and craftsmen whose work was never seen. From the studio's earliest days through late 1935, Max Steiner, regarded by many historians as the most influential composer of the early years of sound cinema, made music for over 100 RKO films. Murray Spivak, head of the studio's audio special effects department, made important advances in the use of rerecording technology first heard in King Kong. The studio's B Western star of the period was George O'Brien, who made eighteen RKO pictures, sixteen between 1938 and 1940. The Saint in New York (1938) successfully launched a B detective series featuring the character Simon Templar that would run through 1943. The Wheeler and Woolsey comedy series ended in 1937 when Woolsey became ill (he died the following year). RKO filled the void by releasing independently produced features such as the Dr. Christian series and the Laurel and Hardy comedy The Flying Deuces (1939). The studio soon had its own new B comedy star in Lupe Velez: The Girl from Mexico (1939) was followed by seven frantic installments of the Mexican Spitfire series, all featuring Leon Errol, between 1940 and 1943. The studio's technical departments maintained their reputation as industry leaders; Vernon Walker's special effects unit became famous for its sophisticated use of the optical printer and lifelike matte work, an art that would reach its apex with 1941's Citizen Kane. Film noir, to which lower budgets lent themselves, became something of a house style at the studio, indeed, the RKO B Stranger on the Third Floor (1940) is widely seen as initiating noir's classic period. Its cinematographer, Nicholas Musuraca, who began at FBO in the 1920s and stayed with RKO through 1954, is a central figure in creating the look of classic noir. Design chief Albert D'Agostino—another long-termer, who succeeded Van Nest Polglase in 1941—and art director Walter Keller, along with others in the department, such as art directors Carroll Clark and Jack Okey and set decorator Darrell Silvera, are similarly credited. The studio's 1940s list of contract players was filled with noir regulars: Robert Mitchum (who graduated to major star status) and Robert Ryan each made no fewer than ten film noirs for RKO. Gloria Grahame, Jane Greer, and Lawrence Tierney were also notable studio players in the field. Freelancer George Raft starred in two noir hits: Johnny Angel (1945) and Nocturne (1946). Tourneur, Musuraca, Mitchum, and Greer, along with D'Agostino's design group, joined to make the A-budgeted Out of the Past (1947), now considered one of the greatest of all film noirs. Nicholas Ray began his directing career with the noir They Live by Night (1948), the first of a number of well-received films he made for RKO.